Located in central Bhutan, Trongsa is a sacred and temporal heart of the country. Trongsa was once the seat of power over central and eastern regions of Bhutan. The Trongsa festival is one of the grandest annual festivals that bring together people from all walks of life. This festival is also called the winter festival of Bhutan, which falls sometime in the month of December. Apart from witnessing traditional mask dances, this Trongsa festival tour will also offer visitors to explore unfurling of the sacred Thongdrol and receive blessings from high ranking monks. 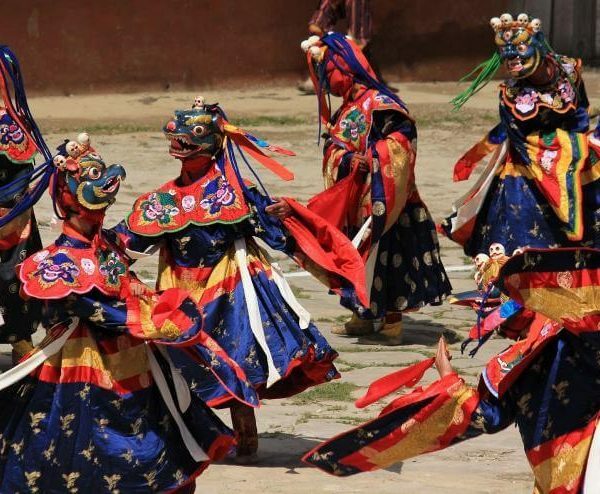 Bhutan Buddha Travellers will help you witness a fascinating Trongsa festival in Bhutan, which is held annually. Our experienced guides will make sure you get a clear idea about the festival and its celebration that will enhance your experience while witnessing it live. From your arrival to departure, we will make sure you are guided in a right way to experience and enjoy a unique, relaxing and memorable trip in Bhutan. 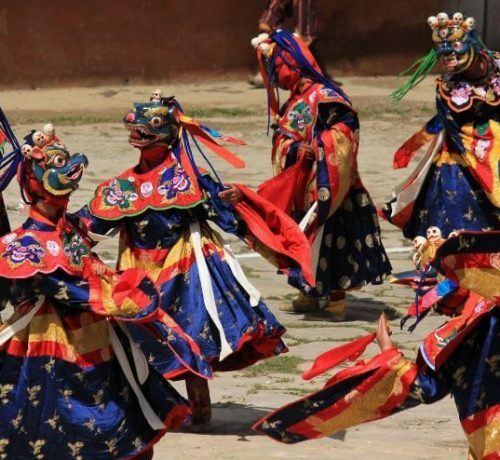 This vibrant and religious festival will offer an opportunity to witness numerous mask dances, music, traditional folk songs and many other cultural entertainments. Exploring the Capital city of Bhutan- Thimpu- Memorial Chorten (temple) built in memory of the late 3rd King, Changangkha Lhakhang, Tashichho Dzong (fortress of Thimpu). Visit Punakha Dzong (fortress that houses the most elaborated temple in the country), hike to the temple of Khamsum Yuelley Namgyel Chorten and explore the villages and locals. Pass through Wangdi province to view the Wangdi Dzong (Fortress), Pelela Pass at 3300m and go for a hike to the remote village of Rujubji. Attend the Trongsa festival and take an excursion to Kuenga Rabten and visit Ta Dzong. Drive pass by Yotong La pass at 3425m and Jakar Sightseeing. Morning visit Punakha Dzong (fortress), which houses the most elaborated temple in the country. This is a fine example of Bhutanese rich Art and Architecture. Visit a farm house to see the kind of house that Bhutanese live in. After lunch, proceed for an hour hike to the temple of Khamsum Yuelley Namgyel Chorten which is perched on a hill from where you’ll see the Punakha valley. Along the walk, we’ll pass through the villages and the locals in their daily lives. Overnight: Punakha.